Globally, the business intelligence and analytics software market is predicted to grow from $17.9 billion in 2014 to nearly $27 billion by 2019. 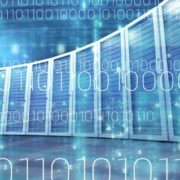 The key players will continue to include MicroStrategy, Oracle, Informatica and Teradata, and there are a host of newer technologies developed in the last several years which have impacted the future of BI and analytics. From technologies for complex event processing such as Hadoop, Apache Spark and Shark, NoSQL and the very much debated and discussed Internet of Things (IoT), the landscape of BI and analytics is changing rapidly. To help you stay abreast of new ways to best use these tools and technologies in 2016, we’ll continue to provide resources and share insights to help you get your money’s worth in automation, reporting, and analysis. 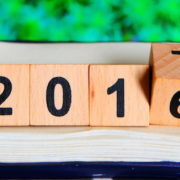 Our portfolio of the best blog posts from 2015 contains a great deal of worthwhile information for you to explore before kicking off the New Year. BI apps for outside audiences call for a user-friendly navigation. How can you overcome the navigational challenges of generic external-facing BI apps? Read more. Pass-through mapping automation can save you time and money. Find out how it works — and how it helps. Read more. This post from our series on external-facing BI apps explores challenges and solutions to developing effective prompts. Read more. Learn how we used MicroStrategy Transaction Services and automation to overcome user management challenges. Read more. Creating an effective layout for your external-facing BI app requires a solid understanding of visual elements. Here, we share tips. Read more. If you run multiple BI tools across many servers, you know the challenges of tracking software licenses & version information. Learn how automation helps. Read more. Adding custom i18n features to external-facing BI apps is a long, complex process. Here, two time-saving tips to prepare your application for a global audience. Read more. In part five of our blog series on external-facing BI apps, we explore challenges and solutions to creating a more interactive user experience. Read more. Thanks for spending another exciting year with us. Please visit the Resources section of our website to learn more about the many tools and guides we have available. We look forward to sharing more insights in 2016.